Combining the immensely successful training techniques of six-time Ironman champion Mark Allen with the wisdom of world-renowned Huichol Indian shaman and healer Brant Secunda, this workshop remedies the conspicuous absence of spirituality in typical Western approaches to health and wholeness. We will begin on Friday evening with check-in, an introductory talk by Mark Allen and Brant Secunda, and a Huichol Indian Deer Dance ceremony. Mark presents the latest research on health, physical fitness, and nutrition. He explains the essentials of an effective strength program, and how to eat for lifelong health. You will hear Mark’s personal story of how he integrates fitness and spirituality, and be invited to train, run, or walk alongside him. As unique as our individual journeys are, the settings in which we practice can offer valuable support along the way. 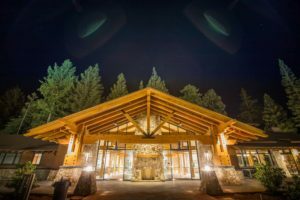 1440 Multiversity is more than a campus. It is a place to set aside daily urgencies, reflect in nature, and connect in new ways with new understandings. This larger aspiration is at the heart of our invitation to you—to come to a like-minded community in a place that has been thoughtfully designed with love and encouragement, and to connect to the best of what lies within each of us.